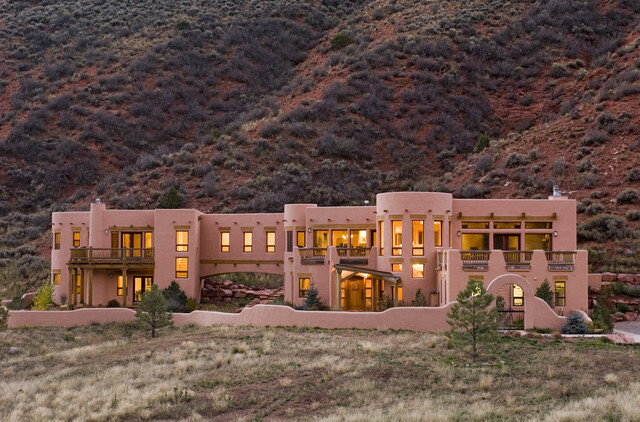 Is this house located in Glenwood springs because I thing Ive seen it. It's located just west of Edwards, in Red Canyon. Would this design be able to be for 5 bedrooms ensuite with w/in closet. On the beach? - How much would you charge for the Designs for Zanzibar in East Africa. This home does have 4 beds, 5 baths, and a media room that doubles as another guest bedroom. Please email us about your Zanzibar question @ info@fanasarchitecture.com Thanks! Location? - Where is this??? Is the paint color Badlands? - the website shows multiple Benjamin Moore colors and it eludes to Badlands as being the color for the exterior of this house but I picked up the Badlands sample and it looks much darker. Can you confirm the color? It's gorgeous. Because vernacular design is specific to its site, it changes from place to place. Where gable roofs and wood lap siding are elements of the New England vernacular, adobe construction, simple forms and bright colors are vernacular elements in the Southwest.In fact, vernacular design was and continues to be adapted. Centuries ago the pueblo vernacular of the Southwest Indians started to mix with a European, specifically Spanish, aesthetic that remains with us today. This desert landscape provides marvelous inspiration for a pink scheme. Try re-creating this with Benjamin Moore’s Pink Panther, Elephant Gray and Devonwood Taupe.